My name is Chris Cooper Bynum. I graduated from Auburn in 1987. My oldest son graduates this Sunday! He recently reminded me of a story I wanted to share with you. We lived in Texas for a while when our boys were younger. (We are now back in Alabama) so it was a rare and special occasion to visit campus as they were growing up. I brought them to The Plains as often as I could. Years ago when the opportunity to buy bricks at the football players’ entrance to Jordan Hare Stadium became available, my mother bought a brick for everyone in our family. 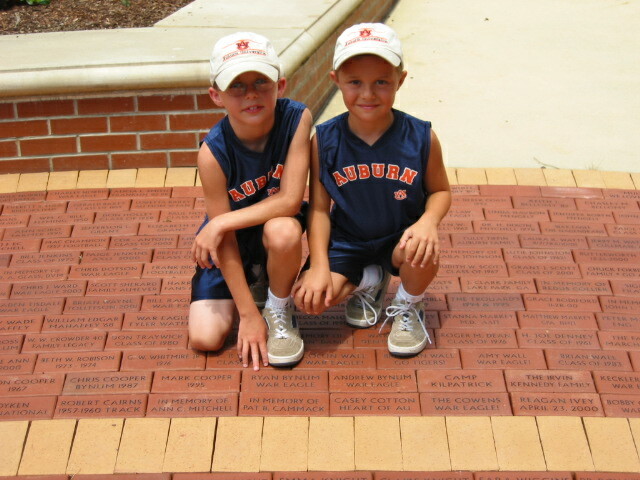 The next time I was able to bring my sons, Ryan and Andrew (both now current students at Auburn), to see the bricks, they were 9 and 6&1/2 years old. That was the summer of 2003. Upon seeing the bricks, my oldest son, Ryan, asked why every other family member had “numbers” on their brick but he and Andrew did not. I laughed and explained that those were our graduation years… Edwina Kilpatrick Cooper 1962, Leon Curtis Cooper 1967, Chris Cooper Bynum 1987 and Mark Camp Cooper 1995. Ryan & Andrew were so disappointed about the “numbers”! So, I told them that if they graduated from Auburn (their dad is an Alabama alum), I would get down on my hands & knees with a hammer & chisel and put their graduation year on their bricks myself! Haha! 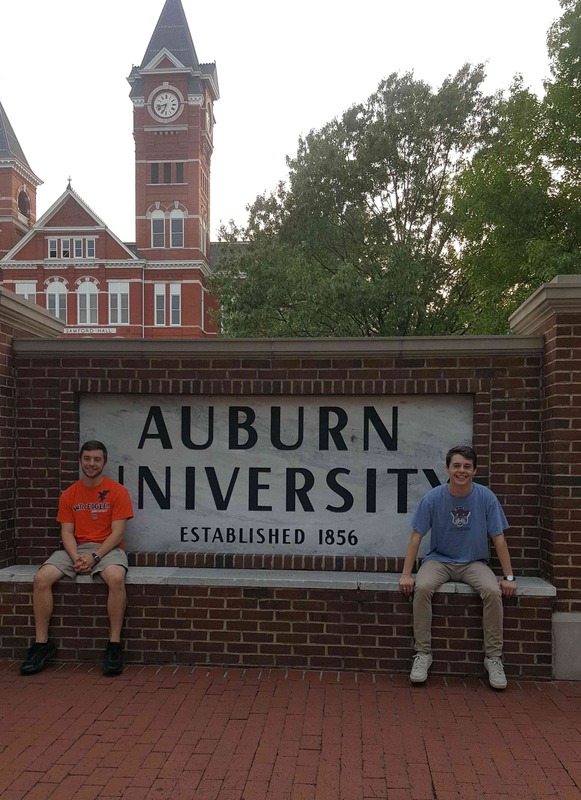 Well… Hallelujah and War Eagle! Ryan will graduate this Sunday with a 4.0GPA in Biomedical Science and start med school at UAB this summer! He reminded me last week about my “hammer & chisel” declaration. But don’t worry, I will not be climbing the fence to deface the bricks!